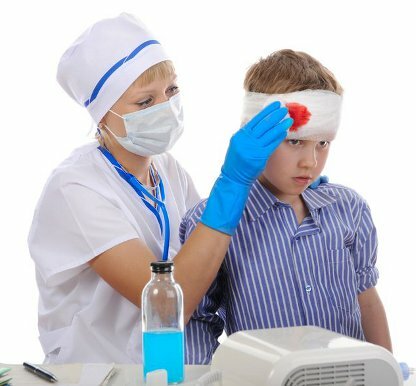 After hitting their head in an accident children can show – also after a period without any complaints – symptoms which indicate a cranio-cerebral injury (hematoma below the cranial bone, swelling of the brain, etc.). In case these symptoms occur you have to see immediately a doctor with your child. 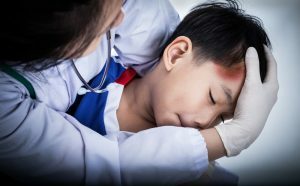 If your child shows any of these symptoms after an accident, consult your doctor immediately in order to avoid further complications.